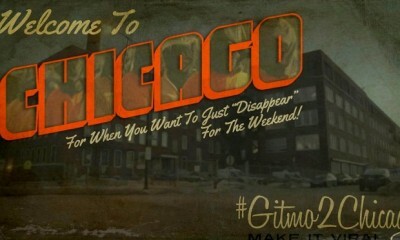 Chicago, IL – The Chicago Police’s CIA-style black site, Homan Square, has seen more people detained than died on 9/11 or imprisoned at Guantanamo, according to a new report by the Guardian. The newspaper, which sued the Chicago police to obtain further details on Homan Square, reports overwhelming targeting of minorities as well as other sordid and violative policies. Though police insist there is nothing disreputable about the facility, saying the square “merely house[s] undercover units,” the number and nature of arrests paint a markedly different reality. More people have been detained and charged at the formerly secret black site than were killed on 9/11, though such abuses are oftenjustified by the terrorist attacks that occurred that day (even as the Patriot Act and Homan arrests overwhelmingly focus on drug “crimes”). More people have been illegally detained at Homan than suspected terrorists at Guantanamo Bay, the globally infamous military torture facility scorned for flouting due process and holding innocent people for a decade. Guantanamo has been open longer than the span of released records from Homan Square.